He also sent a video to friends in Italy and Senegal indicating plans for bold action and with the message, "Africa, Rise up," they said. Milan's provincial Carabinieri commander, Luca De Marchis, told broadcaster Sky TG24 that the bus was ferrying two middle-school classes between school and a nearby gym in Cremona province, some 25 miles from Milan. 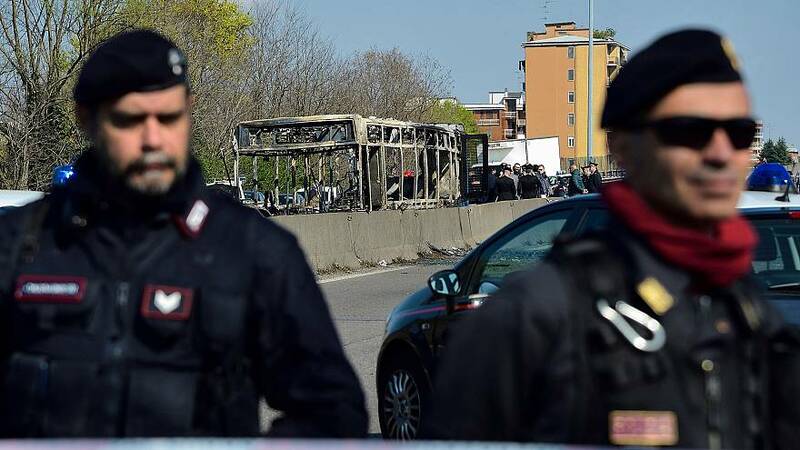 Italian news agency ANSA quoted one of the students as saying the driver ordered the chaperones to bind the students' hands with cable ties, threatening to spill gas and set the bus ablaze.